The staff who care for seniors in B.C do a great job, often under challenging circumstances, but when residential homes are understaffed, everyone loses. It means staff is overstretched and cannot deliver the care seniors need and deserve. Our investment of $240 million over three years will mean qualified professionals will be more readily available to provide our loved ones with the care they need, when they need it. With this investment, the province will finally live up to the standard of care that was set over a decade ago, and never met. We’re also working with local care and service providers in the Chinese and South Asian communities to make sure culturally appropriate services and supports continue to improve for seniors. To ease transitions into care, services like publicly subsidized residential care, recreational programs, and assisted living programs are delivered in the patient’s language and respect family and cultural values. Improving services also means making sure our workforce is valued and protected. We are investing in better working conditions for health-care aides. Currently, more than half of all care aides are working part time or casual shifts, forcing many to work two or more jobs to make ends meet. By converting part-time and casual staff to full time, we have already added significantly more care hours for patients, and by 2021 seniors will receive an average of 3.36 hours per day. Over 300 part-time and casual health-care aides have already converted to full time positions, with another 500 to follow in 2019. By 2021, about 1,500 new full-time positions will be added to build a more well-rounded health sector that is able to address the delicate and unique needs of people in care. But to make sure the people of B.C. receive the best care, we also need highly-skilled workers to join workforce, so we’re investing there too. New health-care aide seats in post-secondary institutions throughout B.C. will be open to over 380 students who will train and become the future of our health care system. Together with the federal government, we’re committing approximately $1 billion over three years for improvements in seniors care. 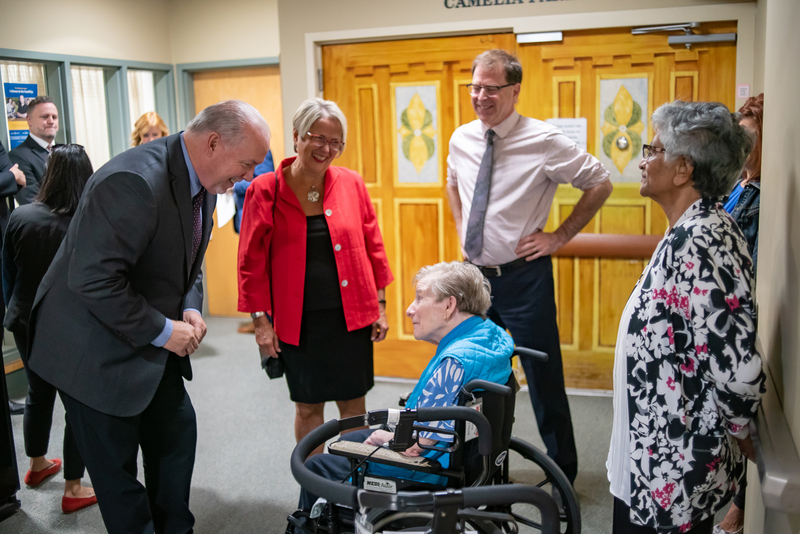 We are investing in primary care, home and community care, and residential care because we see the value of providing different options for seniors entering care. And we’re dedicating special funding to expand respite care and adult day programs to better support family and friend caregivers and help seniors live out their lives happily and comfortably. In a province where people come first, we need a well-staffed, well-trained health-care sector that delivers better, faster health care for everyone. We’re going to keep working hard to deliver the quality health care B.C. seniors need and deserve.